Today, we did the first day in a 2-day Writing Institute for a number of Principals and Assistant Principals in our District. We kicked off the training with an invitation for everyone to write. It really is amazing how giving everyone 10-15 minutes to write on whatever topic they would like to write about can be so powerful. When everyone shared out about the experience, there were a lot of comments about how it didn't feel like 10 minutes and "I use to journal...". As different individuals shared what they wrote, it was exciting to see a different side of these administrators. Some shared a humorous writing piece and others shared childhood memories and others shared important insights. It was incredible to see how the write environment and tone freed up everyone to write. I look forward to another day of learning tomorrow as we further explore what writing workshop looks like and how to support teachers who will be implementing the workshop model in their classrooms next year. For the month of March, I will be writing and posting daily as part of the Slice of Life Challenge. Thank you to the Two Writing Teachers for hosting the March Slice of Life Challenge. Over the past several weeks, I have been getting a crash course in how video editors put together hours and hours of film footage in order to create a 10 minute video. It's been an amazing learning experience. 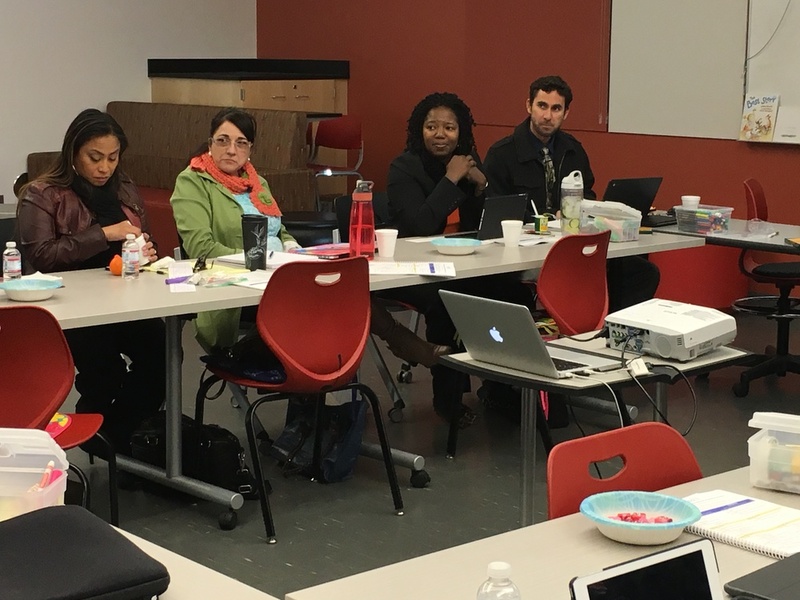 In late December and January, our District's TV and Film studio has been filming teachers, students, parents, and administrators participating in our Writing Workshop pilot. I lost track of how many hours of interview and classroom footage has been captured. The task was simple, or so we thought, create a five minute video to share with our Board as part of our update report. I learned that creating a video is very much like writing a story. What is the message you want to tell and with pictures and snippets of interviews how will you tell it? At one point, we had identified 2 hours of interview clips and hours and hours of "B" roll. Far from the 5-10 minute video that we needed. 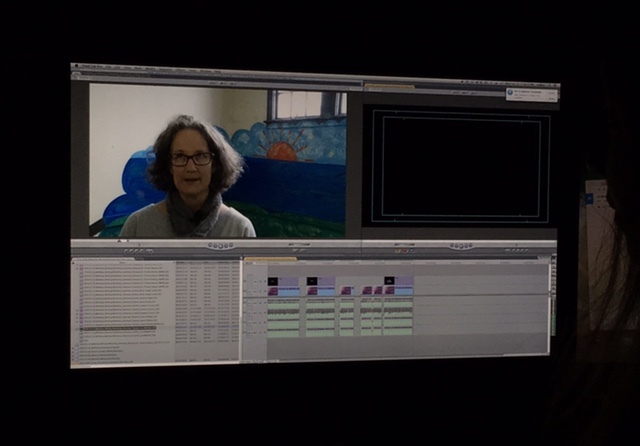 Though video editors work with film, they are very much like writers and book editors. They need to see how story should come together and know what is needed and what is not necessary. Thanks to the amazing staff at KLRN who have worked in the editing cave for hours and hours narrowing down and cutting out excess until a story emerged, we will be unveiling an 8 minute video - 3 minutes longer than we originally anticipated but much shorter than it was a few weeks ago. It was exciting to see the almost finished video with "B" roll included. Our fabulous editors will be polishing and cleaning for a bit longer to make it perfect for our unveiling. After spending hours in the editing cave with this fabulous team, I have come to a place of greater appreciation for the hard work that goes into making the incredible videos that they produce for District. Can't wait to see the final video! Slice of Life Challenge Day 6: Learning to Say "No"
This morning, I was scrolling through Facebook and author, Margarita Engle had posted a link to an article about how the "most successful creative people constantly say no". Though I still don't know if I agree with everything in the article, I realize I personally need to say no more often and not feel guilty, even when I say "no" to things that are technically good. This is where I struggle. Lots of things are good things. Visiting a friend, going to a movie, helping someone plan a birthday party. All good things. Yet, when I have too many evenings and too many weekends with good things, then I become stressed. Stressed that I don't have time to wash clothes and there is nothing left to wear. Stressed that I haven't gotten finished with a book I needed to review or simply stressed because I haven't had time to unwind and read. As a child, I remembered feeling like I had too much free time. I would love to have been busy all weekend or multiple nights of the week, but as I have gotten older and time seems to disappear in a blink of an eye, I cherish quiet time, and weekends free of obligations, and staycations that afford me the luxury of ambling through the day. What I have also noticed about that free time or space is that decisions can be made. Yes, I will take on that project because it really is something I want to do and will be a creative outlet. Or yes, participating in an activity will be a good use of time on multiple levels. It can also show me what activities my heart really isn't into and will drain me instead of bringing more energy. Here's to learning to say "no" without guilt. When I first moved to California, many years ago, I was amazed at the number of farmers markets and the convenience of where they were located, along with their incredible variety of fresh fruits and vegetables. In Connecticut, we had a few roadside stands with seasonal produce in the summer but not much selection and certainly not year round. In the first few years of living in California, I would go regularly to the Saturday morning Farmers Market. I loved wandering up and down and looking at all of the amazing produce and related items. However, schedules change and regularly going to the Farmers Market was pushed aside for the convenience of Trader Joe's and other grocery stores. As I have been getting back to cooking and clean eating, it seems natural to get back into the habit of weekly trips to the Farmers Market. I made my first trip to the Saturday Farmers Market with a few specific goals in mind. First up was cauliflower. I have always loved cauliflower but recently I have been trying different recipes like cauliflower rice. Then I discovered that you can freeze cauliflower rice. I thought I would pick up a few heads of cauliflower and make and freeze the rice for easy prep in the future. Since many of the farmers still have mostly winter vegetables, there were a lot of options like in the photo above. I picked up a traditional cauliflower and one of the yellow-orange ones to try something new. The other thing I was reminded when I went to the Farmers Market today is that vegetables and fruits still can have flavor. The strawberries I picked up (not pictured) were so sweet and juicy as compared to what has been in the grocery store lately. And tomatoes, which barely taste like anything when bought at the Farmers Market are out of this world. I wasn't sure if I could get tomatoes this early but there was one stand that had only tomatoes and though a bit expensive, they were really beautiful looking. I bought enough to eat fresh but also to make into a marinara sauce. I can't wait. I am looking forward to planning for future trips to the Farmers Market and to discovering new fruits and vegetables and recipes to go with them. There is a slight disadvantage to being on the west coast and participating in the Slice of Life Challenge - simply, if you do not finish the posting your slice the evening before and wait to do it after work you may only have 20 minutes to write it, especially if you get home at nearly 8 p.m. I keep reminding myself that the weekend is coming, and that the best thing is to show up and write and that opting out is not an option. I have come close every day this week to saying "enough" and giving up but I am hanging in. Given that I need an attitude adjustment, I am going to just make a list of 5 things from today that I am thankful for in no particular order. I am thankful publishing parties where students get to celebrate writing. I am thankful for my two cats who greeted me at the door with excitement (even if part of the reason is that they want food). I am thankful for our District's KLRN staff for all the work they have done and still are doing on a video about the Writing Workshop Pilot. I am thankful for a box of books that greeted me at my door when I arrived home tonight. I am thankful for friends that I can reach out to when I have questions. For the month of March, I will be writing and posting daily as part of the Slice of Life C hallenge. Thank you to the Two Writing Teachers for hosting the March Slice of Life Challenge.